Keyword research remains an essential part of SEO strategy for both organic and paid traffic optimisation. With the Hummingbird update long-tail keywords became more important to SEO. As a result keyword research needs to consider optimising a website on a semantic level to inform a site’s architecture and segment site topics into thematic areas. It’s important to allow for how search engine spiders crawl sites to deliver relevant content on the search engine results page (SERPs). 1. Identify important topics to your business. Draw up a list of all the important and relevant topics that relate to your business. Start with general topics (e.g. landing page optimisation & web analytics) for your keyword research. 2. Produce a list of keywords for general topic. These should be keyword phrases that you consider it will be important to rank on SERPs. The key here is to capture all your ideas as this won’t be the final list of keywords. Remember to use your web analytics to identify what keywords your site is already getting found for. 3. Examine related search terms. Go to Google and start typing one of your phrases and see what related search terms are suggested by Google. These suggestions may generate more ideas for new keywords that you hadn’t previously considered. You can also take them a step further by typing some of the related search terms into Google to see what their related search terms are. 4. A mix of head terms & long-tail keywords. Head terms are short keyword phrases, usually one to three words. Long-tail keywords tend to contain three or more words. People generally search using head terms more frequently and so they tend to be more competitive and harder to rank compared to long-tail terms. On the other hand long-tail terms are more specific and give you a better understanding of what people are really looking for. For this reason your keyword research needs a good mix of both types of terms. 5. How do your competitors rank on keywords? Undertaking keyword research into what your competitors are targeting is useful from two perspectives. It can provide ideas for reviewing your own list of keywords. Additionally, where you are both targeting the same keyword it means that you may have to work harder to improve your own ranking. However, don’t just copy the keywords that your competitors target, they may not always be relevant and it will also make it more difficult to improve your rankings. By targeting keywords that your competitors are ignoring may give you a quick win by allowing you establish high ranking for these terms due to a lack of competition. Use tools like SEMrush and others outlined below to find out which keywords your competitors are ranking on. Use tools such as Google AdWords Keyword Planner to reduce the number of terms in your list. This will help to ensure you are focussed on terms that have reasonable number of searches (i.e. neither too little or too much). Use Google Trends to find out their trend history and forecasts so that you don’t remove terms that have potential in the future. 1. AuthorityLabs: Track historical rankings and view graphical representation of how a keyword is ranking over time. Allows you to automate your SEO monitoring, track local rankings and recover (not provided) keywords. 30 day Free trail for keyword research is available. The Basic plan is priced at $24 a month and offers 100 keywords and up to10 domains. The Plus plan costs $49 a month for up to 250 keywords and 50 domains. The Pro, their most popular plan costs $99 a month for 1,000 keywords and 100 domains. The Enterprise plan starts at $450 a month for 5,000 + keywords and unlimited domains. 2. Bing Keyword Research Tool: All data is based on organic searchers over the last 6 months and provides ideas and suggestions for your content. Just sign up for Bing Webmaster Tools to access the keyword research resource. 3. Blog Post Headline Analyzer: This Free tool is from CoSchedule and will analyse headlines for length, how powerful or emotionally engaging the words are, how uncommon the words are and provide recommendations to improve your headline. 4. ContentForest Pro: This is an SEO-led content marketing tool that analyses your content and provides on-page optimisation recommendations. This allows you to update and prioritise your keyword research list for an efficient content creation strategy. It will give you an overview of which keywords you are already ranking so you don’t end up duplicating effort. ContentForest also has an excellent suite of Free SEO tools and keyword research tool. This includes KeywordKiwi which allows you to find long tail keywords based upon what people are searching for on Google. For blogs, ContentIdeator generates anywhere from 10 to 100 blog post title suggestions when you input a keyword. There are also a pagerank, social share, and broken link checker to name just a few. 5. Google Adwords Keyword Planner: A Free Adwords keyword research tool that allows you to search for keyword and ad group ideas, get historical data, see how a list of keywords might perform and set up a new keyword list by multiplying several keywords together. 6. Google Keyword Suggest Tool: An easy to use keyword research tool from SEOChat.com for identifying longer and more specific phrases to narrow targeting. Enter a term and it will generate a list of the most popular keyword phrases that all begin with the base word – using Google, Amazon, YouTube and Bing “suggest” data bases. The tool generates phrases for every letter of the alphabet. Choose a phrase and then move to the next step to generate more phrases. 7. Google Trends: Is a Free keyword research tool that allows you to view what people have been searching for with Google. It graphs how often a term is used over time and how this varies geographically. It allows you to generate predictions of how search volumes are changing. You can also compare more than one term to view their relative popularity. 8. iSpionage: Provides insights into competitors’ effective keywords, ad copy and budget. A highly recommended tool for finding out what your competitors are up to. Free trial available for all plans. For keyword research the Silver plan costs $69 a month with unlimited searches and 10,000 data exports a day. The Gold plan comes in at $99 a month for unlimited searches, 50,000 data exports a day and 10 competitor alerts. For additional services such as daily landing page and web page monitoring, the Campaign plans costs $129 (Pro) and $299 (Premier) a month. 9. Keyword Discovery Tool: One of the most popular keyword research tools that provides keyword search statistics from all the major search engines. It will provide the search phrases that people use to find a product or service. 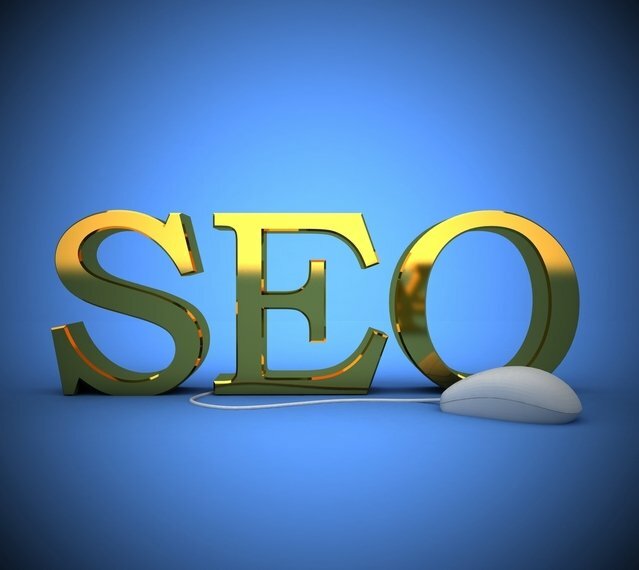 It should help you identify the search terms driving traffic to your competitors. The Standard plan is currently at a special discount price of $29.95 per month for up to 3 domain research results and 20 projects. The Professional plan costs $199.95 per month for up to 100 domains and unlimited number of projects. Both plans allow up to 1,500 searches a day, with 1,000 results displayed and 10,000 terms per project. 10. Keyword Multiplier Tool (Clever Clicks): This is a free keyword research tool that allows you to generate a list of all possible keyword phrases. Just type in your list of keywords and the tool will produce a list of every phrase variation possible. 11. KeywordTool.io: The Free version is excellent for finding out what people are looking for as it produces around 750 suggestions for each keyword. The suggestions generated depend on the specific Google domain and language that you select. Up to 1,440+ keywords from Google and YouTube, 1,875+ from Bing, 3,750+ from App Store returned for a single search. The Pro Lite plan ($48 a month) offers 2 times more keywords than the free plan and the ability to export data in CSV. The Pro Basic ($68 a month) also gives you search volumes to understand how popular a keyword is. In addition Pro Plus ($88 a month) provides CPC and competition on AdWords. 12. searchmetrics: Essentials is their standard keyword research tool. The suggest function will show you where the specified domain ranks for a particular keyword, plus you can add and tag keywords using the tool. The Essentials plan costs $69 a month for limited access to their database, $2,000, up to 1 year of visibility history, up to 3 countries, up to 10,000 rankings per report and current historic keyword rankings. The Suite Business ($2,000 a month) is an integrated SEO solution built for smaller brands and beginners. This provides complete visibility history, all countries, up to 20,000 rankings per report and historic keyword rankings for the last 6 months. Additionally this provides content and site structure optimization, extensive backlink analysis and other services. Prices for their Suite Enterprise and Suite Ultimate plans can be obtained by request. 13. SEMRUSH: The industry standard keyword research tool identifies your main competitors based upon the keywords you plan to target. Click on your competitors and it will show you what other keywords they target ad to and the ad copy they use. Highly recommended for seeing who your top paid and organic competitors are for the keywords you plan to use. It allows you to easily combine and visualise SEMrush data to compare competitive domains and estimate keyword difficulty. For projects it enables you to launch global campaigns and view all the key metrics regarding competitors, keyword rankings, and on-page health in once place. Plans start from $69.95 per month for Pro which offers 10,000 results per report, 3,000 reports per day, 5 projects and the ability to track 500 keywords. The Guru plan which costs $149.95 per month provides up to 30,000 results per report, 5,000 reports a day, up to 50 projects and the ability to track 1,500 keywords. Finally, the Business plan comes in at $549.95 per month and delivers up to 50,000 results per report, 10,000 reports per day (for each of 4 users), unlimited projects and resources for tracking up to 6,000 keywords. 14. SerpStat: A Free keyword tool which filters results to show only the questions that people enter into the search box. It provides you with popular keywords and their various forms used by people who are searching for interesting products, services or information. It collects and aggregates search suggestions, providing them with the ability to download in a TXT file. It is very good for giving you the how-to content and frequently asked questions. 15.Soovle: A very easy to use and Free keyword research tool which generates a list of the best keywords by analysing search engines Google, Wikipedia, Amazon, Answers.com, YouTube, Bing and Yahoo! 16. Spyfu: A great tool for identifying all the places where your competitors show up on Google. It will show you all their keywords and the ad variations they have employed. Excellent for understanding your competitors’ most profitable keywords. The Basic plan costs $79 a month with unlimited keyword and domain results, track up to 400 keywords, over 9 years of AdWords and organic history, and 250 sales leads and domain contacts. Professional costs $139 per month, and offers everything in the Basic plan in addition to rank tracking of up to 800 keywords and access to their API. Lastly the Agency plan is priced at $999 per month and delivers unlimited custom reporting and keyword rank tracking. Further, you can search monthly data which allows you to track a domain’s weekly rank updates on keywords that you select. You can save up to 47% on the cost of a plan by choosing an annual subscription. 17. StoryBase: [New] – StoryBase have spent 3 years creating this very easy to use keyword tool. It now has more than 5 billion long-tail keywords, 100 million question keywords and 2 billion related LSI keywords. A free plan is available for a single user with to 10 searches a month, 15 results per search and one list. A starter plan for a single user costs just $9 a month with unlimited searches, up to 400 results per search and ten lists. The Premium plan for up to 5 users costs $79 per month for unlimited searches, up to 1,000 results per search, 1,000 lists and offers priority support. 18. Tinyranker: A simple, but flexible all-in-one SEO tool. As well as keyword analysis, Tinyranker provides for tracking keyword rankings, on-page SEO and competitor keyword rankings. 30 day free trial available for all plans. Prices start from $19 a month for up to 100 keywords. An agency plan is available for $119 a month for up 2000 keywords. 19. Ubersuggest: A simple and Free keyword research suggestion tool that begins to pull in keyword suggestions from Google and other sources the second you start to type. Often used for PPC and SEO keyword research. 20. WordStream’s Free Keyword Suggestion Tool: A Free tool that allows you to run a limited number of searches in its massive keyword database. A fast tool which holds over 1 trillion keywords in its database. Excellent for long-tail keyword suggestions. Thank you for reading my post. If you found this post useful please feel free to share it using the social network icons below or at the top of this post. How do Names Influence Behaviour and Outcomes?